Check out Tobi's Forever Ours Sweater This season, go with the textured knit. Indulge in the Forever Ours White Sweater, featuring a crew neckline, relaxed bubble sleeves, and gorgeous elaborate knitting throughout. 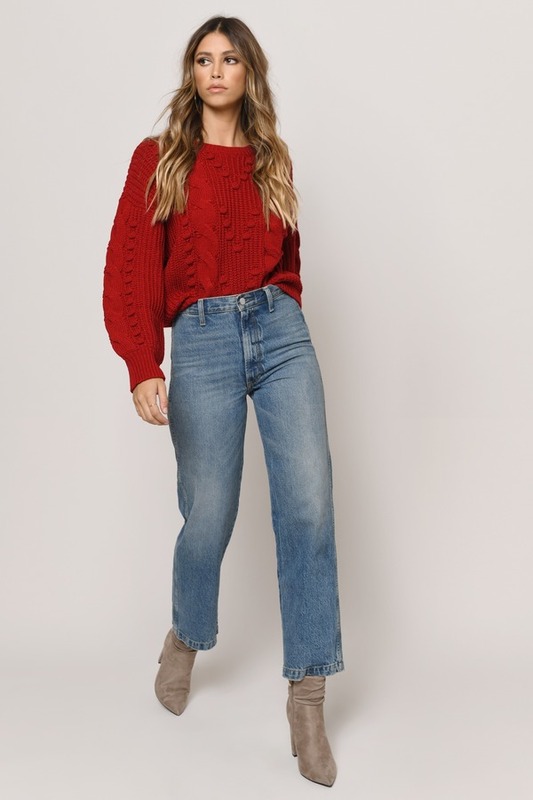 Grab your fave high waisted skirt and tuck in this slouchy sweater for a fab winter 'fit--oh, and don't forget those chic booties. This season, go with the textured knit. Indulge in the Forever Ours White Sweater, featuring a crew neckline, relaxed bubble sleeves, and gorgeous elaborate knitting throughout. 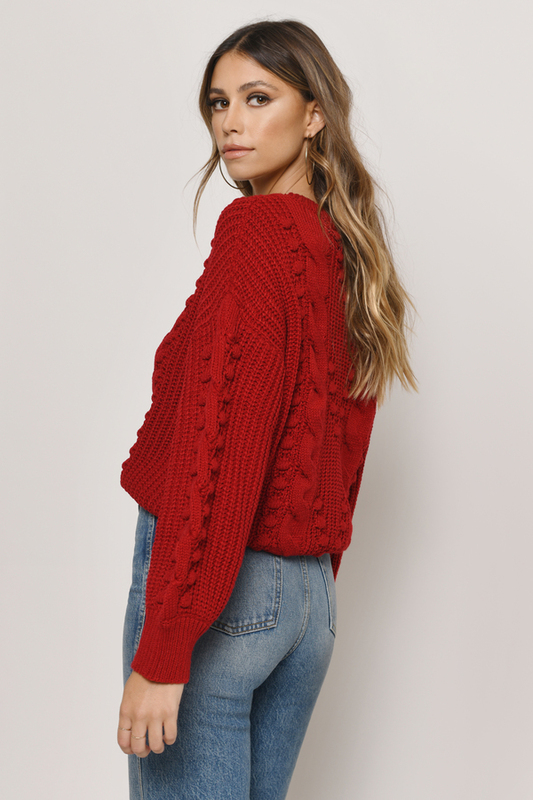 Grab your fave high waisted skirt and tuck in this slouchy sweater for a fab winter 'fit--oh, and don't forget those chic booties. This season, go with the textured knit. Indulge in the Forever Ours Red Sweater, featuring a crew neckline, relaxed bubble sleeves, and gorgeous elaborate knitting throughout. Grab your fave high waisted skirt and tuck in this slouchy sweater for a fab winter 'fit--oh, and don't forget those chic booties. This season, go with the textured knit. 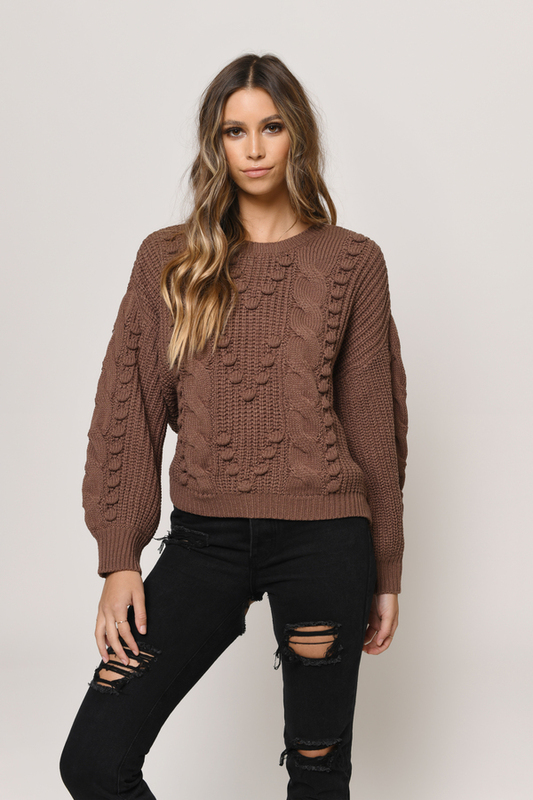 Indulge in the Forever Ours Mocha Sweater, featuring a crew neckline, relaxed bubble sleeves, and gorgeous elaborate knitting throughout. 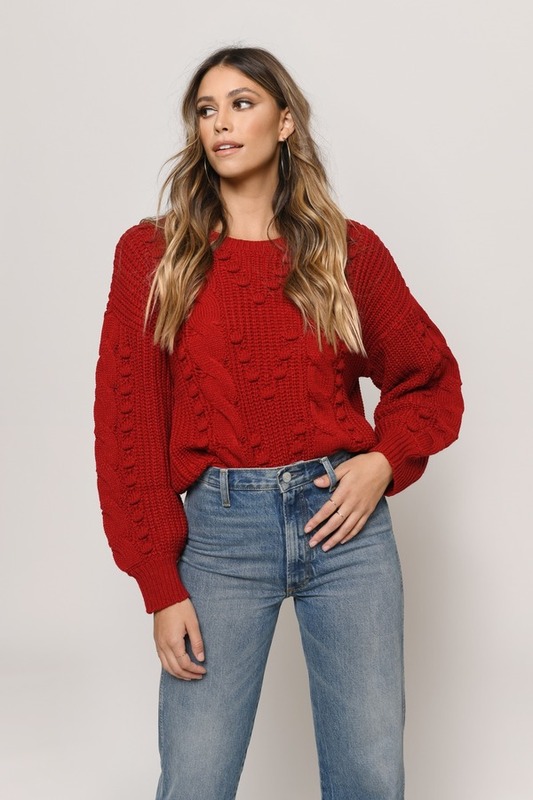 Grab your fave high waisted skirt and tuck in this slouchy sweater for a fab winter 'fit--oh, and don't forget those chic booties.